The Children’s Place is having a July 4th Sale with lots of items just $4 each. Other sales include Matchables $2.99 and up and Clearance now up to 60% off the original price. Save an extra 20% off everything with coupon code HAPPY4TH. Shipping is FREE on all orders today too! BabyLegs is having a huge Last Call Clearance Sale. The more you purchase, the more you save – Buy 2 and get 1 FREE, Buy 5 and get 3 FREE, Buy 6 and get 6 FREE! Sale ends 7/7/13. Naartjie Kids is having a Giant Semi-Annual Sale with their entire stock of essentials just $5.99 and under and clearance up to 60% off! Everything is still $12 and under at Gymboree! They also have some super cute knit tanks, tees and shorts for $5 each. Crazy 8 is still having their Semi-Annual Sale. Take an extra 30% off all markdowns too with prices starting at just $2.79. If you want to think about back to school, uniforms are 25% off. Gap is offering an extra 25% off your purchase today with coupon code GAPHAPPY at checkout. Old Navy is having an online only clearance sale through 7/17/13. Uniforms are on sale too. Hanna Andersson’s Big Big Twice a Year Sale is still on with prices slashed up to 75%! Sale runs through 7/7/13. Hartstrings is offering an additional 20% off your entire order when you check out using coupon code 12187 at checkout. Clearance is discounted up to 75%, but you cannot use the 20% coupon on top of it. 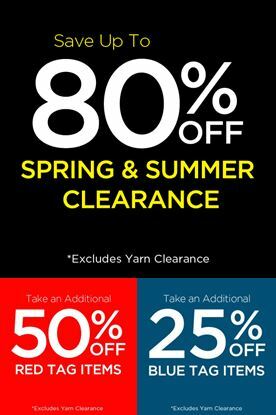 OshKosh B’gosh is having their Ginormous Clearance Sale and clearance is an addition 30% off. Coupon code BGNSUY20 will save you an additional 20% off your order of $40 or more. Coupon code AHOYMATE will save you 15% off your order with no minimum purchase required. It does exclude clearance and doorbusters. Carter’s is also having their Super Duper Clearance Sale both in-store and online. Save 20% off your order of $40 or more with coupon code BABYC4P at checkout. Coupon code AHOYMATE will save you 15% off your order with no minimum purchase required. Excludes clearance and doorbusters. If you have a tween, save 40% off everything at Justice or their sister site for boys, Brothers, with coupon code 721 at checkout. Sale runs through 7/11/13. Zulily is having another big Blow-Out Sale. Find huge savings on kids & women’s apparel and shoes, toys, books and even home decor. Sale ends 7/8/13. Online kids’ consignment store FlipSize is offering 20% off your order with coupon code FSJULY4 at checkout. Offer ends 7/4/13. 6pm is having their $17.76 Indendence Day Sale with thousands of items discounted to just $17.76. The July 4th Blowout Sale is on over at Stride Rite and you can take an additional 25% off clearance items with FREE shipping with coupon code JULY2013. Coupon expires 7/8/13. Robeez is offering an additional 15% off all sale itemswhen you use coupon code July4Savings at checkout. Sale prices are already discounted as much as 40%, so there are some great deals to be found! Melissa & Doug is offering BOGO 50% off all Sunny Patch Toys with coupon code SPBOGO at checkout through 7/8/13. Save 15% off your order of $40 or more at LeapFrog.com with coupon code FREEDOM. Sale ends 7/8/13. Disney Store is offering FREE shipping on your entire order today with coupon code FREESHIP. The Twice Upon a Year Sale is still going strong. Prices are discounted up to 60% off and new markdowns have been taken! Save 20% off any one clearance item at Toys”R”Us or Babies”R”Us through 7/6. Print this coupon to take with you in store or use coupon code BLAST20 at checkout to shop online. These four highly rated baby gear items are currently at their lowest prices ever at Amazon. All qualify for free shipping, too. Joovy Caboose Ultralight Stroller in Brownie: $189.99. Matching AlbeeBaby. OXO Tot Seedling Youth Booster Seat (four colors to choose from): 25% off at $29.99. Matching TRU/BRU. Prince Lionheart pottyPOD in Poppy Pink: 45% off at $27.42. The big Michaels Storewide Clearance Event starts TODAY and runs through Saturday, July 6! I already LOVE Michaels, so these clearance events really make me happy! I can walk around Michaels for hours (just ask my hubby, lol) and I find inspiration and ideas in just about every department. Did you know they now accept coupons on smart phones? You can simply show them the coupon on your phone to score this discount while saving ink and paper! Michael’s also offers a 15% discount to all teachers everyday! Click here to find a Michaels store in your area!